The QuickVue Chlamydia Test detects chlamydia directly from endocervical swab and cytology brush specimens and is used as an aid in the presumptive diagnosis of chlamydial infection. 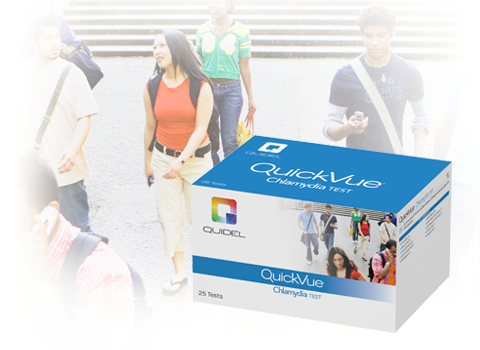 Using only two reagents and 3 drops of extracted sample, QuickVue Chlamydia offers high sensitivity and specificity in all patient populations. The rapid Chlamydia test is easy to perform and interpret. No refrigerator space needed. No need to wait for reagents to warm up. Rapid Chlamydia tests can be run immediately as needed.